Since not everyone in my family is a huge chocolate fan like I am, I try to find recipes that will make them happy too. As for non-chocolate dessert, apples are always a good pick here in my house. I love the smell of apple and cinnamon baking in the oven. Apple pie is a winner when it comes to desserts, but sometime it is nice to change it up. 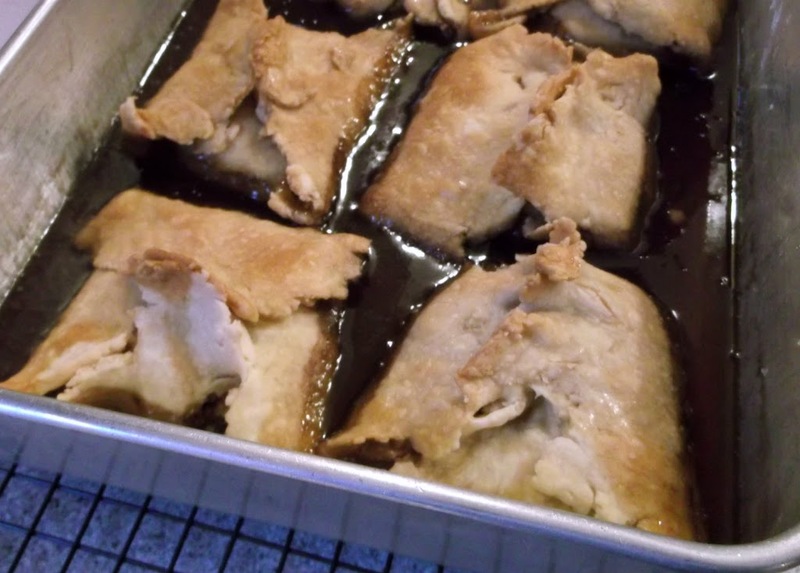 So I decided to make some apple dumplings and still have the nice aroma of apples and cinnamon, but you also have a yummy syrup that these dumplings bake in. 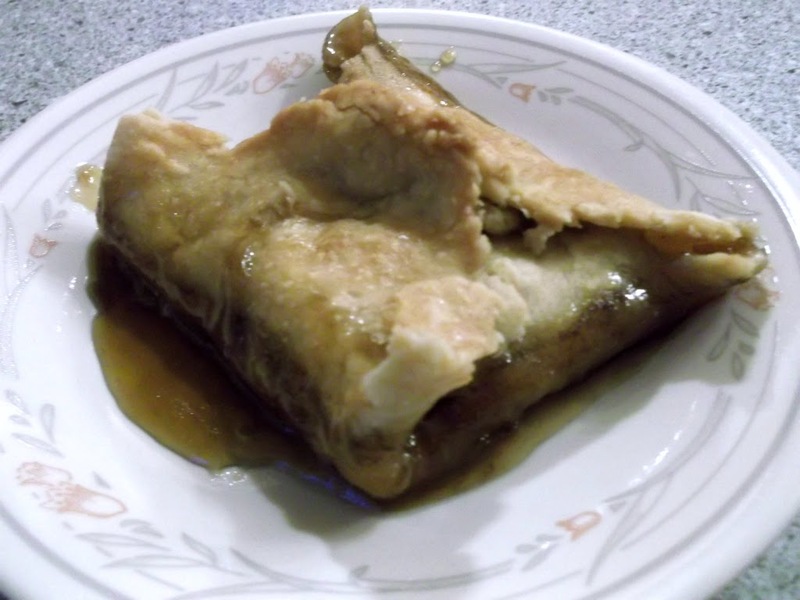 I have seen recipes that use the whole apple, minus the peel and the core, but I am always a little skeptical that the apple will not bake all the way through on this kind of apple dumpling. So I found a recipe that used chopped apples, these are maybe a little harder to assemble, but the results are yummy. These are so yummy right out of the oven with a scoop of vanilla ice cream; at this point you will be thinking who really need chocolate anyway. In a large bowl, combine the flour and salt: cut in shortening until crumbly. Gradually add water, toss with a fork until dough forms a ball. Divide the dough into 6 portions and roll into 6 inch squares. Peel and chop apples into small slices. In a medium bowl combine the apples, sugar, cinnamon, and flour and mix well. Place a 1/3 cup of the apple mixture in the middle of each square of dough. Brush the corners of the squares with water, bring the corners to the center and pinch to seal. Place the in a greased 9 by 13 inch pan and bake in a 350 degree F oven for 20 minutes. While these are baking make the syrup, by adding the sugar, water, and butter into a small sauce pan; bring to a boil stirring constantly. Remove the syrup from heat and once the dumplings have baked for 20 minutes pour the syrup over the dumplings. Put the dumplings back into the oven and bake for another 25 to 30 minutes, until the dough is golden brown and the apples are tender. Server warm with vanilla ice cream. Enjoy! Much as I love chocolate, I’d always pick an apple dessert over a chocolate one. Your dumplings sound incredible!!! 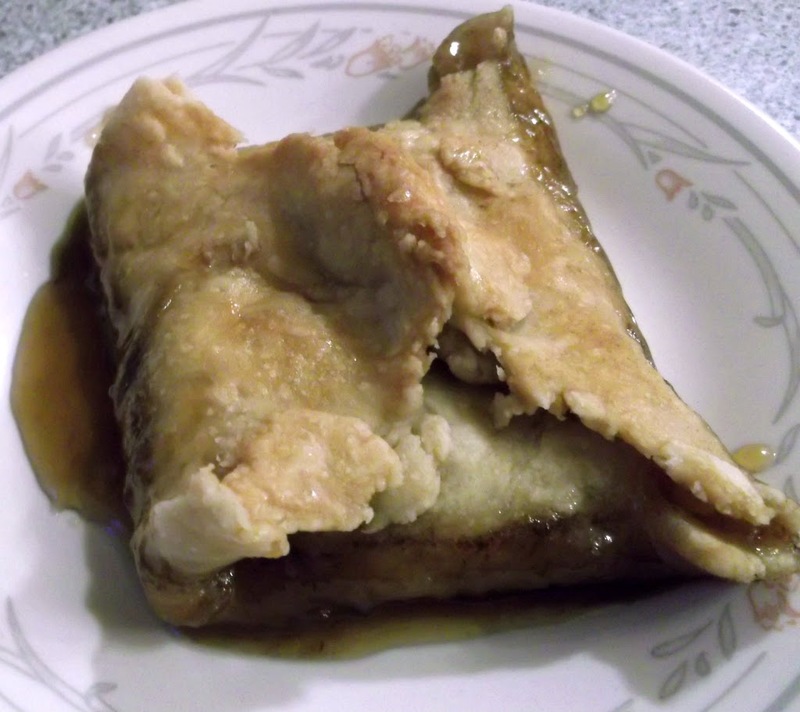 Gosh, I haven’t had an apple dumpling in ages! These look so good. I’m going to the kitchen right now to check on our apple supply! Good stuff – thanks.